For many years I had been told that sugar is addictive, toxic and the source of many of the health problems in our country. Of course I didn’t believe it (I’m somewhat of a skeptic), not because I had researched the effects of sugar and had come to alternative conclusions, but because I loved sugar so much. I was like that stereotypical parent that believed my son or daughter (sugar) could do no evil. I’m not sure what it is – maybe genetics – but I have a wicked sweet tooth. The kind of sweet tooth that made me want to eat the whole box of popsicles within 24 hours of going to the grocery store. 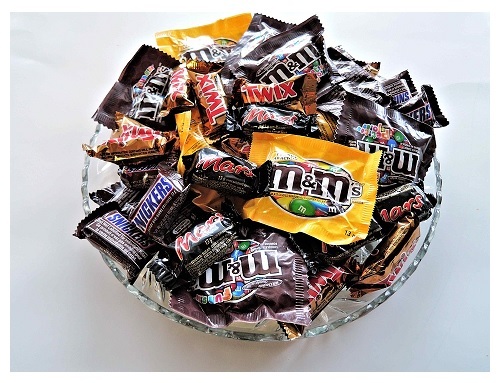 I was the kid that ran out of Halloween candy by the next morning. I’ve made myself sick eating sweets so many times it would cause a migraine just trying to estimate it. I simply loved sugar. What am I saying loved for? I still LOVE sugar, although I haven’t had it in a while. Several years ago, I discovered that I have psoriasis (a skin condition that causes irritated red and scaly patches). Through years of trial and error with tons of things like medicines, ointments and creams (pharmaceutical and holistic), I found that sugar was one of the main culprits of my psoriasis flare-ups. That discovery was probably one of the most devastating things for me to accept. 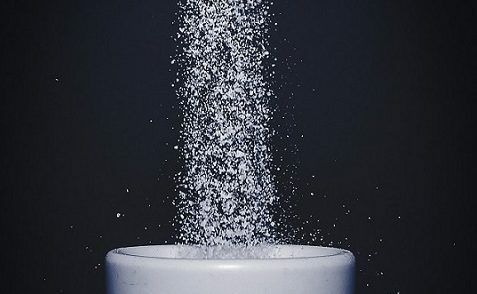 I had no idea why sugar made my flare-ups so bad, all I knew is that when I stopped eating sugar, my psoriasis got better (almost overnight) and I lost over 10lbs in the first month off of it. Please don’t assume this post is to demonize sugar as being bad or evil or that people should avoid it altogether. I’m just a fella at TPC trying to spread some good things about helping you be healthier! Whether or not you agree with many of the opinions and information out on the web, you may at least be interested in knowing how much sugar you are eating, if nothing else than for the sake of being aware. Our bodies need sugar, specifically the sugar known as glucose. This sugar is essential for proper brain and body function, and is the primary fuel source to keep us chugging along. The real neat thing about the body is that it is pretty efficient at breaking down the food we eat into glucose to keep that metaphorical gas tank full. With the understanding that our bodies need sugar, does that mean you can eat the whole box of popsicles now? Well, probably not (although I’d sit right next to you and we would have a ball). It’s probably safe to say that the majority of people in our country know that we should be eating more fruits, vegetables, whole grains and lean protein. 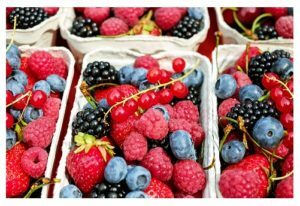 The sugar found in things like milk, fruit and vegetables is generally enough sugar for our bodies in addition to everything else our bodies break down into glucose. If you are at all like me, however, these sources of sugar weren’t enough! Sometimes I just needed two hearty bowls of ice cream, or a dozen cookies, or half of a cake, or a whole package of Double Stuf Oreos, or… well, I think you know what I mean. 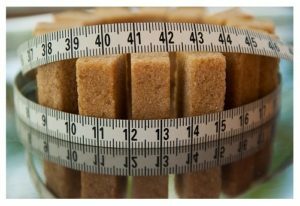 The American Heart Association (AHA) suggests that American women should limit themselves to about 6 teaspoons of added sugar (see their definition of discretionary calories), and American men should limit to about 9 teaspoons of added sugar per day. The following list is just so you can compare to get an idea what 6 or 9 teaspoons looks like. 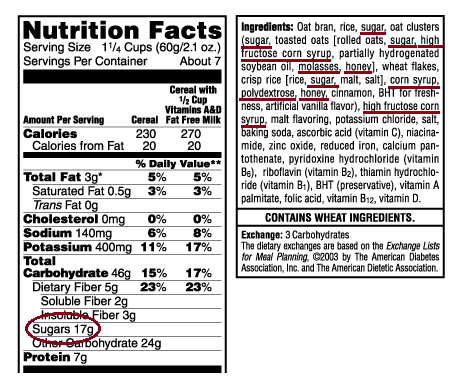 Keep in mind that 1 teaspoon is 4 grams of sugar (16 calories if you were curious). There is information all over that suggests Americans eat between 66lbs and 170lbs of added sugar per year. Estimates also range from 20 teaspoons of added sugar to 47 teaspoons per day. I know there were days when I went on candy-eating-binges that I had to be well over the upper limit of added sugar in a day. Just think… a Snickers bar (mmmm… Snickers…) and a couple cans of your favorite soda and you’re already looking at 26.75 teaspoons of sugar! I would hope that in the very least we begin to examine how much sugar we are taking in, and that we start looking at the nutritional (or lack of nutritional) information and values of the foods we eat. I think we can all agree that having too much sugar in our diets is a bad thing. The threshold between bliss and bad is different for everyone, and I would encourage each individual to examine their level of activity and daily caloric needs to determine how much added sugar they should allow each day. That being said, having too much sugar can lead to a wide variety of health problems. These include, but are not limited to: weight gain, diabetes, cardiovascular disease, obesity, high blood pressure, the development of excess fat around vital organs, spike in bad cholesterol, compromised immune system and an increased risk for certain types of cancer. That sounds a lot like the “potential side effects” portion of a new drug commercial. Again, I’m not saying that all sugar is bad for us. We need it. Sometimes we just get too carried away, or we aren’t looking at how much sugar is in the food we consume. I think it would be wise for us to examine how much sugar we are eating, and make plans to take control of what we are consuming. Being wise stewards of our bodies can help us feel better, reduce the likelihood of having health problems (which no one probably wants) and saving us money in both short- and long-term. When you’re at the grocery store, grab a few of the items you’re putting into the cart and turn them around and look for words such as: high-fructose corn syrup, corn sweetener, lactose, maltose, dextrose, sucrose, honey, agave syrup, or any other type of sugar, and decide what is best for you. Next time you’re in the checkout line and decide to treat yourself to a candy bar, you may consider really treating yourself and put it back.